I'm a sucker for friendships between I love independently, and you know I love the Olympics, so you better believe I'm melting at the video of Michael Phelps teaching Katie Ledecky the way to wear multiple medals at once. 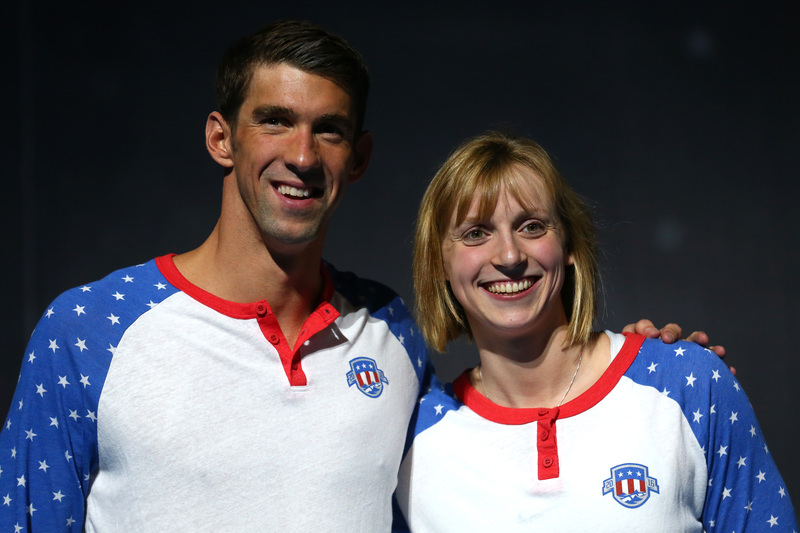 Even though the media has sometimes gotten it a little bit twisted in their reporting on the achievements of these two talented athletes (for example, giving Phelps' silver medal higher billing than Ledecky's world record-winning gold) those politics don't seem to have trickled down to the Team USA teammates. Instead, Phelps has been effusive in his praise for the 19-year old Ledecky, telling Today , "We are in great shape, not only with Katie but with the team that we have now. Katie's doing her thing and she's breaking records every time she gets in the pool." It's so delightful to see that reverence reflected back at Ledecky from the man she was once so delighted to meet as a kid. It's become almost a mentorship, not because of a disparity in their skill, but because they're on equal footing. It just so happens that Phelps has been to two more Olympics than Ledecky has — and he claims this was his last one — so he's been able to rack up 28 medals to Ledecky's six. But hey, she's just getting started, and in the meantime, Phelps' extra experience makes him the perfect person to have on hand to help Ledecky figure out how to wear multiple medals at the same time — something she needed to do for the Sports Illustrated shoot where she, Phelps, and Simone Biles appear on the cover. Apparently there's an art to getting them to lie in a way that lets you show them all off at once, and as we know, Phelps has had more practice at that than anyone on the planet. As you can see in the video above, he very patiently and proudly hung Ledecky's medals around her neck one by one, and even as he was joking about how much experience he has with this, he also made it clear that he knows Ledecky is right behind him. She'll be mentoring someone else in wearing multiple medals in no time. Also, just gotta say — I love that Simone is like, "I figured it out no problem, what's up with you pool-dwellers?" So much behind-the-scenes Olympic goodness in one video!